Original Hotpants from Rollerbones. 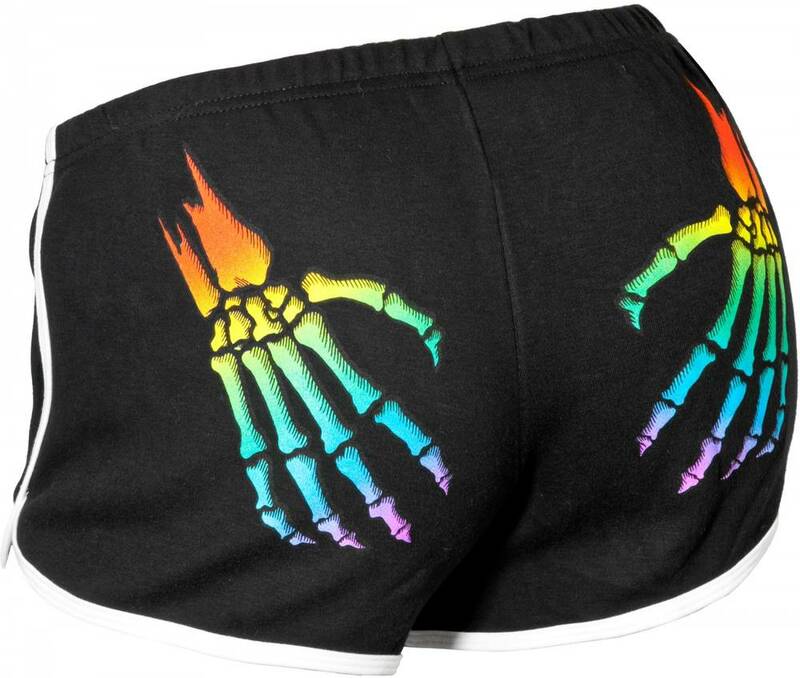 Skeleton hands on the bum in rainbow colours. Elastic waistband.